*Note: Yoga should always be taught by a qualified and experienced yoga instructor. The intention of this article is to provide insight into the Voice Colors approach for making yoga a successful and effective experience for our participants. The Voice Colors approach can be used to present poses or sequences from any yoga tradition. Voice Colors Yoga is not a style of yoga or a prescriptive set of poses or exercises: It is a comprehensive teaching methodology that makes yoga accessible and successful for participants with autism and communication challenges. Yoga is essentially a process of refining self-awareness, cultivating self-direction, and strengthening the ability to regulate one’s own internal state. The popularity of yoga continues to grow, and its many benefits are well documented. For individuals with autism and other communication challenges, yoga provides an invaluable avenue to developing awareness and understanding of how to balance one’s energy levels in order to relieve stress and physical discomfort. The Voice Colors Communication Resource model makes yoga accessible and meaningful for these individuals. Yoga provides regulating sensory input and healthy physical exercise. Participants gain confidence in their physical abilities and expand their comfort zone of movement and sensations. Participants experience a wide range of physiological states, both actively challenged and deeply relaxed, and gain practice transitioning smoothly between them. To Do / Finished Schedule Board: Schedule tabs depicting each pose or exercise are laid out in sequence on a velcro To Do / Finished board. Participants can easily see what will be included in the session and keep track of their progress by moving the schedule tabs. Visually structured environment: Yoga mats define an area of personal space for each participant. Rubber hand and foot markers or other props are placed on the mat to assist with body placement. Props may include pillows to sit on, blankets to lay on, and blocks or bolsters to support the body in various positions. Eye targets to look at help with head positioning and focus or drishti. Relationship-based teaching: To participate fully and successfully in yoga requires a lot of trust. Yoga poses will invite participants to use their bodies in unfamiliar ways and to experience new sensations. Participants will likely encounter poses that feel uncomfortable, difficult or awkward at first and some initial resistance is common. Having a trusting relationship with the instructor is essential and provides the safe ground for taking risks and accepting new challenges. A trusting relationship with a qualified instructor is also essential to participants’ physical safety. Participants may lack the communication skills or self-awareness to explain to the instructor how their body feels. This requires the instructor to get to know participants well and be careful observers: All participants give feedback through their behavior, breath and energy. 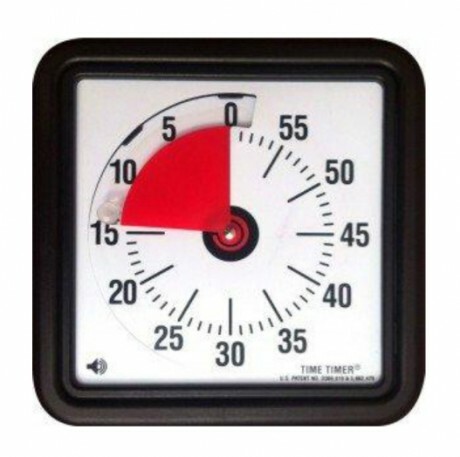 The instructor needs to be responsive to this feedback throughout the session: Hold times might be lengthened or shortened, breaks might be offered, and poses might be modified or skipped altogether as necessary. Clear communication: Communicate your expectations and stick to your plan as much as possible. 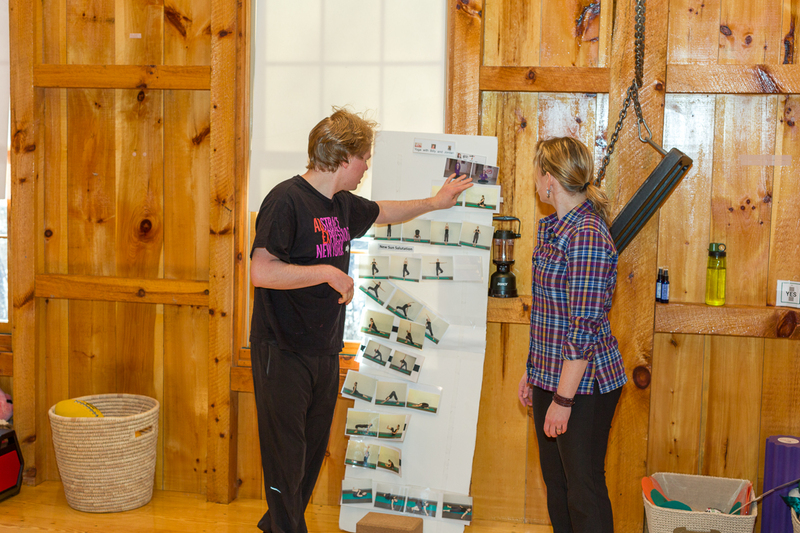 The schedule board should be viewed as a contract between instructor and participants. If changes need to be made for any reason, the instructor should clearly communicate the change and the reason for the change while using visual supports to facilitate understanding. Appropriate assists: Participants will require varying amounts of hands-on assistance to guide their bodies into a pose: Be aware of possible sensitivity to touch and proceed mindfully. Some participants may tolerate firm touch and deep pressure better than light gentle touch. Communicate your intentions and be sure that your hands-on assists serve a clear purpose and provide helpful information. 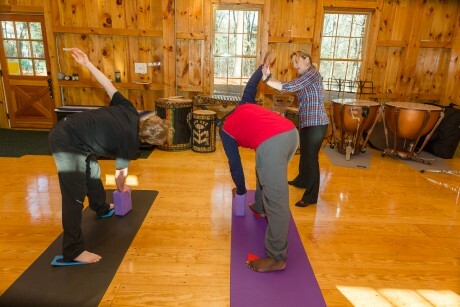 Consider the use of no-touch assists such as having a participant reach to touch a yoga block. Mindful observation: Participants and instructors alike come into each yoga session with their own energy, mood, distractions, and sensory needs of the moment. Be aware of what you bring into the session, and look for information about what your participants are bringing in. Respect and caring: Learn how participants communicate and respect their communication styles. Understand and honor participants sensory needs. Show interest in their talents and passions. Find ways to connect positively and genuinely. Give praise and encouragement generously. Patience: Have high expectations, but be flexible when a participant is having a difficult day. Offer unconditional acceptance and caring even when expectations are not met. Allow participants to make progress at their own pace and support their efforts. Remember: There is no “right” timeline for learning yoga! Participants should gain comfort with basic or foundational yoga poses before attempting more advanced poses. The body needs time to strengthen, open and prepare, and the mind needs time to develop the required awareness and focus to perform advanced poses safely. A qualified yoga teacher should be able to assess participants’ strength and flexibility and offer appropriate poses and modifications. Motor planning and sensory integration issues can present a whole other level of challenge beyond strength, flexibility and focus. These challenges may be unfamiliar to even the best trained yoga teachers, and can be more difficult to observe. When a participant is hesitating, consider the possibility that they may want to do the pose but be unsure of how to direct their bodies into it. When a student strongly resists a pose, the safest assumption is that the pose is either not appropriate for their body or is upsetting to their sensory system at that time. Forcing a participant into a pose or coercing with the promise of rewards may be unsafe and does not respect the participant. Poses should be broken down into steps as needed to support and teach motor planning skills. Hand and foot markers or other props can be very helpful in guiding the participant into a starting position. Basic starting positions include; standing, seated, prone (on belly), supine (on back), and on hands and knees. Step-by-step photos and modeling can guide the process from there. It may be helpful for the instructor to get into the starting position alongside the participant, and then model movement-by-movement coming into the pose together. Holding poses builds focus and endurance. Many of the wonderful benefits of yoga come from holding poses and allowing energy to move through the body in new ways. Each pose provides a variety of rich sensory experiences; feeling the breath move through the body, noticing how the body adjusts itself to maintain balance, feeling some muscles stretch and release while others engage and stabilize. Allow participants to stay in a pose long enough to feel these sensations. Do not overdo it though, especially with beginning yogis. Watch for early signs of physical or emotional distress, and respond by ending the hold immediately. Participants can build up to longer hold times with practice. A slow count to 10 (lasting for 10-30 seconds) is a good place to start with basic poses. The instructor can communicate how long the participant will be holding a pose by counting down out loud or on the fingers. This method allows the hold time to be easily be adjusted on-the-spot: If a participant appears to be comfortable in a pose, the count can be slowed down. If a participant shows signs of distress, the count can be sped up. Visual timers can also be used to define hold times and provide a focal point. Visual timers are particularly helpful for longer holds such as resting and restorative poses. 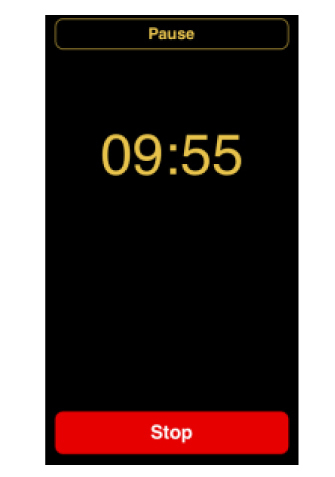 Numerous meditation timers are available as apps for phones / tablets. Sequences of poses that flow together teach healthy movement patterns and develop motor planning skills. As the body strengthens and learns with practice, sequences become smoother and easier. This can provide a concrete sense of accomplishment for the participant as well as the purely joyful experience of moving gracefully and feeling in control of their bodies. Transitions can be particularly challenging for some participants; flowing between poses is a wonderful opportunity to practice and develop transition skills. Communication comes in many forms. Yoga is a wonderful venue in which to practice connecting and communicating with others. Become familiar with participants’ personal communication styles. Be aware of any adaptive technology they may use to communicate such as an ipad or other device or a binder of symbols or scripts, and allow them to access it as needed during yoga. Remember that participants with communication challenges may have good verbal abilities at times, but may be unable to access those abilities in times of stress or excitement. It can be very helpful to offer simple visual scripts in pictures and/or text such as “I need a break” or “I do not want to do that pose today” and keep them easily accessible. Embedding choice in yoga sessions offers participants an important form of communication and self-expression. Participants might choose some or all of the poses to include in a session. Offer choices that are familiar to participants. With experience, participants may begin to choose poses based on the way their body feels and what their sensory system is craving. This is an invaluable self-regulation skill to develop! Some participants may have difficulty making choices at first. It may be an unfamiliar process, or they may be overwhelmed by too many options. Provide visual structure for the process: Make it clear who is choosing, how many choices they need to make, and what the available options are. Limit options to 2-3 at first, and build up from there. Although yoga is essentially a personal practice, the experience of yoga is even more meaningful when shared with others. By sharing time with others in a relaxed state, participants learn they can feel comfortable and calm in a social setting. Yoga does not rely on language and allows everyone to participate at his or her pace and level. This makes yoga accessible to participants with a wide range of abilities and nee ds. With proper adaptation and visual supports, yoga can become a “level playing field” on which individuals with and without special needs can meet. Participants may share yoga sessions with peers and/or with family members, teachers, or other people in their lives. Having opportunities to practice yoga with peers of similar age and ability can be especially powerful; genuine friendships are formed through the sharing of meaningful activities and interests. Sharing sessions with peers also offers wonderful opportunities to practice and develop social skills! Social skills addressed in yoga might include meeting group behavioral expectations, staying involved and actively participating, greeting friends at the beginning / saying goodbye at the end of sessions, offering encouragement, collaborating to make the schedule, or doing partner poses together. 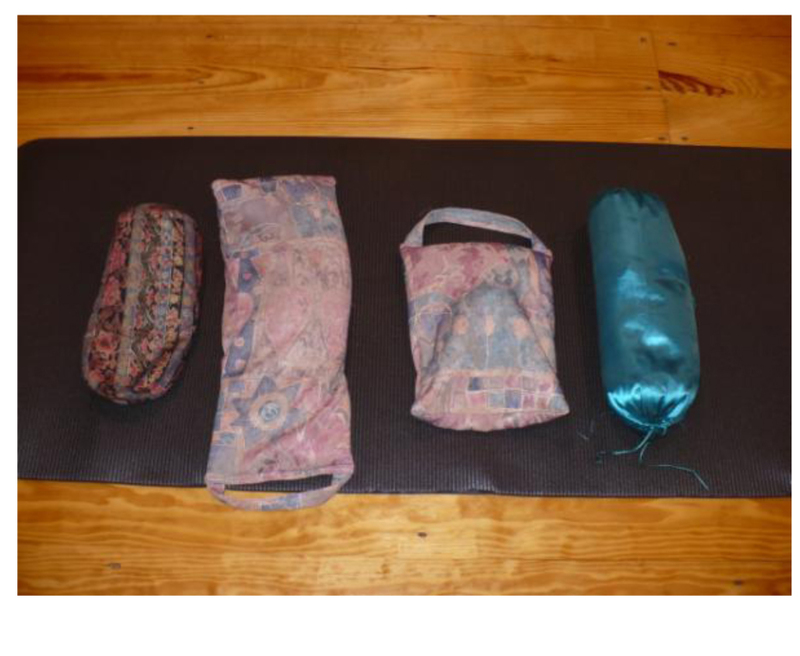 Restorative yoga is the practice of using props such as blankets and bolsters to support the body in long holds of resting poses. Props allow areas of the body to gently stretch, open and release deeply held tension while the participant relaxes in a calm and quiet state. For many participants, the concept of “taking a break” may be familiar, but knowing how to use a break to truly relax and is a skill that needs to be directly taught. Restorative poses provide visual structure through the use of the visual schedule, the set-up of props, and a visual timer. Restorative poses offer a break with a clear purpose – to position the body intentionally and to remain calm and still for a designated period of time. Restorat ive poses may be held for between 5-15 minutes, so it is especially important to ensure that participants are as comfortable as possible. Once the body is positioned, it may be helpful to use additional props such as blankets or sandbags on top in order to help “ground” the body and encourage stillness. Being able to access a state of deep relaxation is one of the most valuable skills for all people to develop. Deep relaxation allows the body and the mind to settle, the nervous system to down-shift, and rigid thought patterns to soften and let go. For participants who may be managing chronic pain or experiencing frequent emotional distress, relaxation is deeply healing an many levels. Note: Some participants may strongly resist being in a state of quiet and calm. This may be an unfamiliar state, and it may actually feel unsafe to nervous systems that are used to being on high-alert. For these participants, it is fine to start with one restorative pose and hold for only a minute or two until they are more comfortable with the process. It is well worth the effort to be persistent and creative in teaching all participants to access a relaxed state. Those who resist relaxation at first are likely the ones who need it most, and with practice may come to receive the most benefits from it. Many wonderful tools are available for providing calming and regulating input to the body. Massage, acupuncture, cranial-sacral work and other therapies are wonderful, but they rely on a therapist to provide hands-on input. Yoga offers a unique opportunity for participants to learn to rely on their own body awareness and to learn to provide their own sensory systems with regulating input. Self-massage techniques may be taught, but for participants who may have difficulty modulating pressure or who may resist placing their hands on their bodies tools can be very helpful. Self-calming tools might include items such as foam rollers, foam or rubber balls, thera-bands, and others. Tools and self-calming exercises from other related disciplines such as the Franklin Method or Soma Systems can easily be integrated into yoga sessions. Be creative! Please stay tuned for upcoming articles about current topics we are exploring in the Voice Colors yoga program. Coming soon: A series of articles about using yoga to develop healthy posture. Who Knows What Will Happen at Unos? Who takes a break like this?